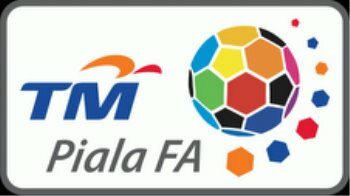 Kelantan FA : Prospects of 2010 : The Analysis. Today… after 23 days of upsetting Malaysia Cup final on 7th of November, as I heard some hearsay and rumors struck entire Kelantanese by dubbing the final as “match fixing” or can be safely named as “sold” the game away to Negri Sembilan by not-so-concrete reasons of newly-crown of Tuanku Mukhriz and a part of Khairy Jamaludin’s factor in FAM, the Kelantan FA (KAFA) through their Mr. President have come up to deny all the accusations and defamations by saying that Kelantan squad were earnestly for the final game despite outfought and disappointing two-third majority Kelantan fans at National Stadium Bukit Jalil. 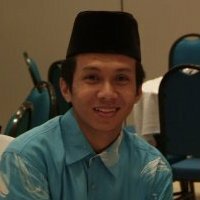 In response to the next 2010’s treble final prospect, Mr. President, Tan Sri Annuar Musa, or I dubbed him as Kelantan’s Roman Calderon (Real Madrid’s President) using Real Madrid-style of purchasing star players as usual by making seven new signings for the 2010 Super League next season. In contrary, for me, buying the ‘Galacticos’ do not meant we are a good in tactical and physical as interprets by Real Madrid in La Primera Liga (Spanish League) right now. Kelantan have set an ambitious goal to win their first major silverware in 2010 season and automatically be counted among the Malaysia League elite teams. KAFA have almost everything in place of administration, finance, players, team management and the vociferous fan support to get the job done. They were major expenses in return for that 2010 prospect by using this ‘monsoon’ transfer windows, acquiring new Red Warriors. 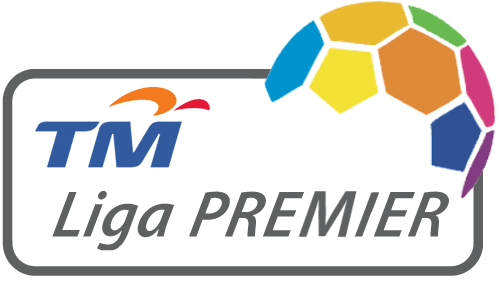 Among them were four strikers – former international and Deutschland spell and Strasbourg apprentice, Akmal Rizal Ahmad Rakhli (former Kuala Muda Naza), Norsharul Idlan Talaha and Mohd Shakir Shaari (victims of UPB-MyTeam’s dissolution) and S. Chanthuru (Penang’s ace). The others were goalkeeper, Liverpool-born Syed Adney Syed Hussein (eliminated by K.Rajagopal of SEA Games squad) and Patrice Evra-like defenders Azizi Mat Rose (one of Kuala Muda NAZA mass exodus) and S. Subramaniam (former Perak captain). However, sadly to all-Kelantanese as they have left out their phenomenon and seasoned goalkeeper Halim Napi and the 39-year-old former international is among the notable absentees in the 25-player squad. Apart from Kelantan FA, others well-establish team still struggle facing financial fiasco and in arrears wages. 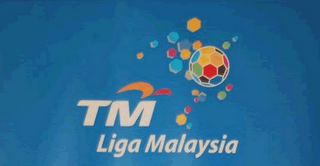 But, Kelantan FA had announced their 25 players listed for the next 2010 season. In retrospect, the outcomes of the several new signing apparently, the Kelantanese sports observers have come up with an idea that the management and coaching staff were eagerly to pick uploads of well-establish players rather than using skillful and charismatic young lads who want to play for the “team” rather than play for the “money” itself. These were some of recommended players by sport journalist and critics to land in Kelantan next season, and these were players that Tan Sri Annuar Musa has overlook instead of must-buy. They were, Perak’s Razali Umar Kandasamy, tough-young lads Farderin Kadir, and Paul Scholes-mind mildfilder, Azi Shahril and pint-sized rocket, K. Soley of Perlis. Even their names no-so-glittering like others stars but, their criteria will fit the 2010 Kelantan winning team prospect. Fortunately to Kelantan fans, they will see another Halim Napi’s gesture, who has been offered to become the team’s assistant coach. Taken into account, Kelantan failed in seeking their first major silverware in Malaysian football since introduced 1921, suffered the disappointment of two runner-up finishes last season. They were beaten by Selangor in the FA Cup final and lost to Negri Sembilan in the Malaysia Cup final. However, Kelantan would continue to take advantage of their strong home fan support, which saw them chalk up a 100% win record at the Sultan Mohd-IV Stadium in Kota Bharu last season. As a preparation toward 2010 season of Super League, Kelantan coach, B. Sathianathan will start pre-season training as early of December and they would be in Kota Bharu until Dec 7 before heading for Bangkok to play in a quadrangular tournament. Beside that, KAFA with the collaboration from Thailand Super League have arrange to hold pre-season friendly with two establish team in Thai-league, i.e FC Chonburi and BEC Tero Sasana. With 5 weeks left before the 2010 season kicks off, Kelantan now have 25 players in their ranks and hopefully not infected Real Madrid-Omen and will be the favorites in the next season. « Exclusively Kelantan: The Purchasing Power of Kelantanese!